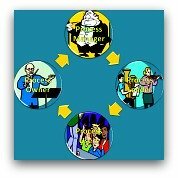 Business Process Mapping is a technique of mapping out the work to be done in a systematic, structured way. You determine the scope of the area you want to map. 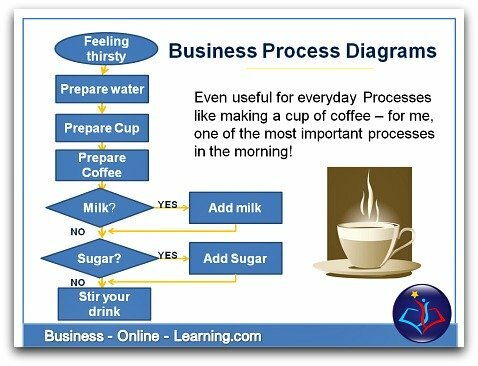 Then, using set frameworks such as a Business Process Model and Business Process Diagrams, you determine, define and implement the details. All the time, you evaluate, with a pragmatic eye, what is being defined for suitability to your needs and the realization potential. 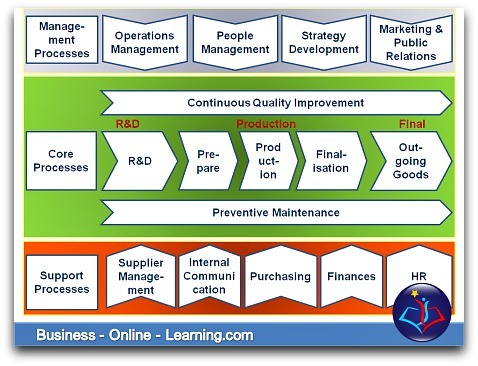 What Are The Advantages Of Business Process Mapping? Events that take place develop a transparency and thereby a manageability. Having a clear process or sets of processes automatically brings you to a point where you determine what it means to be effective and what it means to be efficient. 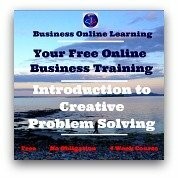 The exercise of Business Process Mapping or mapping out the work will give you a fresh look. Here lies a magnificent opportunity to highlight new possibilities, new potential outcomes from the work done as well as areas to improve, i.e. cutting out waste. By asking yourself the question “Who does what, where, when and how?” while mapping out the processes, you will ensure that work follows a clear, fluid course of events. By streamlining the process, you can achieve great savings by cutting out time wastage, material wastage and the inefficient use of manpower. Moreover, having a clear process can prevent mistakes occurring. 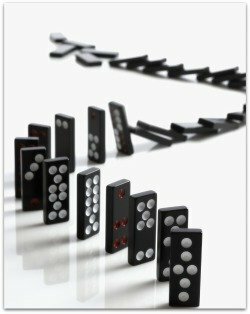 In adopting a process management approach, many organizations tend to overshoot the mark. They go over and above what was needed or suitable. Losing sight of the practical side of the approach can lead to over-documentation. "The paper-producing company". As with any technique, there is a limit to the usability. 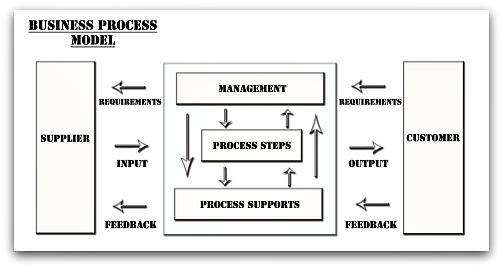 Business Process Mapping or Business Process Maps can be an extremely powerful tool when setting out but the level of intricacy allowed is limited. A point will be reached when it will be counter-productive to define, i.e. with sub-, sub- processes. I cannot stress strongly enough how the human aspect may not be overlooked. People will not work well in a straight-jacket environment. There is a fine balance between the need to document and define – and the enabling of people to use their own powers of assessment in getting the job done. Years ago when carrying out a Quality audit in a supplier's production, I was assessing the Metal-Plating section. As a customer of this company, I knew first hand the excellent quality that came out of this section. In fact, because of this quality, they received the greater percentage of our contracts. As in all the other areas of the company, the process in this area was excellently presented and available on the spot. As was my style, I went to interview the employee there on the implementation of the documentation. “Where exactly is it documented what you have to do?” I asked confidently. The question was pro forma really – I knew from the manager that this guy was key to the quality work done in the section. You can imagine my sheer amazement when the guy replied “I have no idea!”. Did this employee not know that this answer could bring the whole audit to its knees! All employees should know where the work to be done is documented! I noticed the Quality Manager of the company frantically beckoning to me. He took me to one side. “Sorry!” He said. “I meant to tell you that this guy cannot read nor write, ...but his work is so excellent and he is 100% reliable. We need him, otherwise we simply could not deliver”. Be pragmatic. Be realistic. Use it appropriately and wisely - and this will be one of the greatest techniques you will ever have adopted.